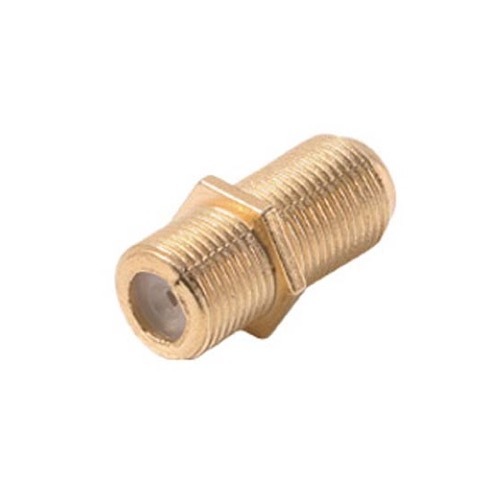 Steren coaxial cable double "F-81" connector, gold. Connects two coaxial cables in line. Gold plated for improved performance. Also for insulation on wall plates. Sold as Single 1 Pack.